Scandals at 21st Century Fox have attracted a new group of critics: Investors. CtW Investment Group is pressuring the parent company of Fox News to add more women to its board and conduct a thorough review of the firm's culture. The demands from the group, which advises union pension funds invested in the company, follow a series of scandals at Fox News including allegations of harassment by some of its biggest stars. "The magnitude of the sexual and racial harassment crisis demonstrates a tone at the top that is permissive of unethical behavior," the group said in a letter to 21st Century Fox dated Thursday. 21st Century Fox (FOX), which is controlled by media mogul Rupert Murdoch and his sons, said in a statement that "we take seriously all communications from shareholders and investment groups, and will respond accordingly." The company said that it has hired new human resources executives in response to the scandals, while taking steps to recruit more women and minorities. CtW is calling for the resignation of director Roderick Eddington as part of an overhaul of the company's board. "He clearly failed in his risk oversight responsibilities as demonstrated by significant financial settlements of sexual harassment allegations that occurred prior to 2016," CtW said. CtW said that more women should be added to the company's board, which currently has only one female director. CtW advises pension funds that have invested over $250 billion in global markets. It says the funds are "substantial investors" in 21st Century Fox, but did not detail their holdings. The Murdochs' handling of the allegations against former Fox News chief Roger Ailes and former host Bill O'Reilly, as well as accusations of cover-ups that ensnared former co-president Bill Shine, is now subject to multiple investigations and reviews playing out on both sides of the Atlantic. In the United States, the Department of Justice is investigating Fox News for possible misconduct. 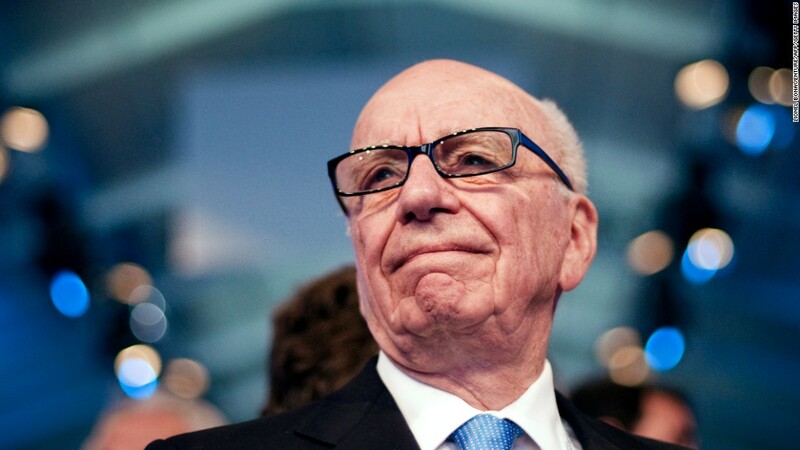 The British government has ordered an extensive review of Murdoch's planned $15 billion takeover of Sky TV (SKYAY). Regulators will examine whether the company has a "genuine commitment to broadcasting standards." Murdoch already owns 39% of Sky, and his son James is chairman of the broadcaster's board. On Thursday, James survived a challenge at the company's annual meeting from investors that want a "truly independent" chair. Fox must pay Sky £200 million ($265 million) as a break fee if its deal to buy the rest of the company falls apart.